It’s an augmented-reality game that forces you to move around your city or neighborhood. It was worth $200 million as of August 8, just one month after its release date. Pokemon Go is about more than just catching Pokemon in the park. 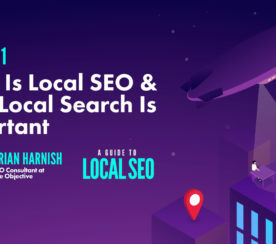 It’s a game that businesses should be using for their marketing efforts. 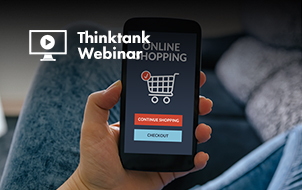 Need some inspiration for how your business can take advantage of Pokemon Go? 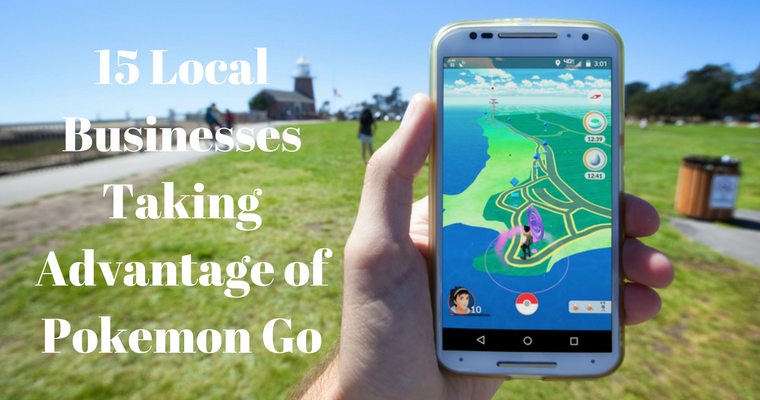 Check out these 15 local businesses who are using Pokemon Go to drive business. To get the local community to come out and see the animals, the Denver Zoo purchased $380 of lure modules. One lure module attracts Pokemon to an area for 30 minutes. 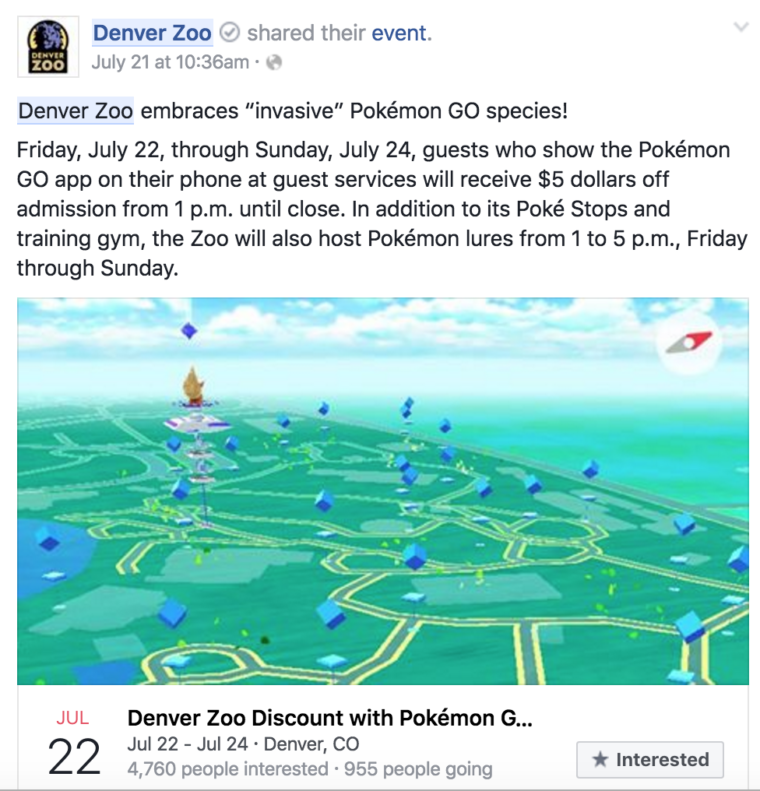 The zoo made an event out of it and gave a $5 admission discount to those who showed their Pokemon Go app. They posted the event on Facebook and created the hashtag #PokemonGoDZ. 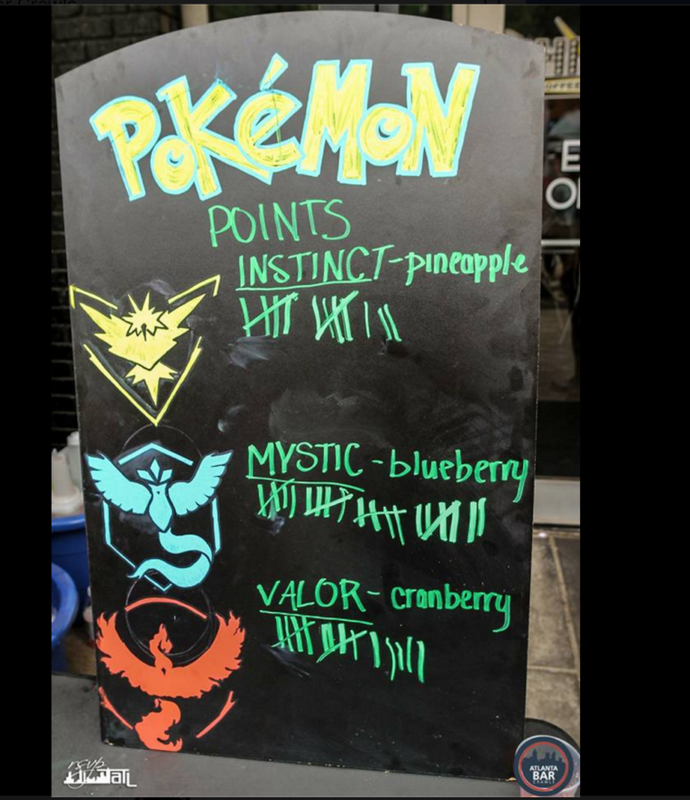 A restaurant and bar in Grand Rapids, Michigan put up a sign that reads, “Get 10% off if you’re part of the Team Mystic in Pokemon Go!” The sign helped the business significantly, John Merritt, manager of CitySen Lounge, told Adweek. For some background info: There are three Pokemon Go teams you can be part of when you join gym battles. The teams are Mystic, Instinct, and Valor. The pizza bar’s sales jumped 75 percent during a weekend in early July because the manager spent $10 on lure modules to attract Pokemon into the store, and according to Bloomberg, they were one of the first businesses to use Pokemon Go for marketing. They are located in Queens. 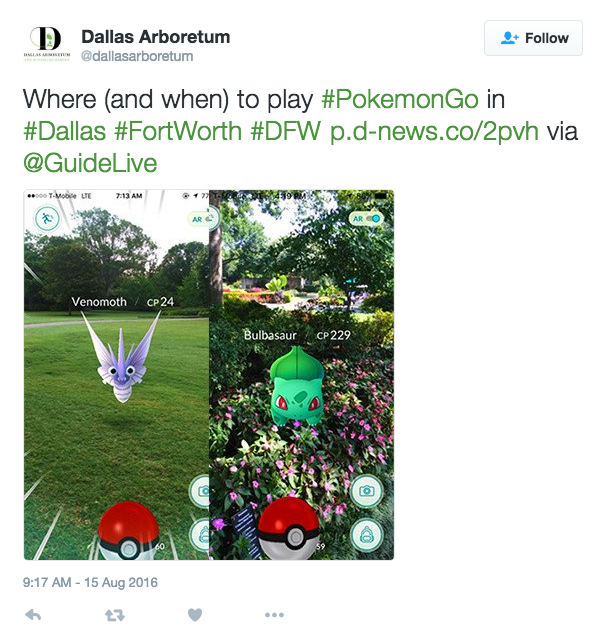 “Tired of aimlessly throwing Pokeballs and Pidgeys and Rattatas?” That’s a Facebook update by Dallas Arboretum and Botanical Garden. They had a Real World Pokemon and Guided Garden Trek event led by on their local experts. They even have a page dedicated to Pokemon events. From 3 pm to 5 pm during the month of August, Pokemon Night attendees can take a break and charge their phones at Rosine Hall. This California coffeehouse offers a lure at their shop for every 15 drinks purchased by a consumer. 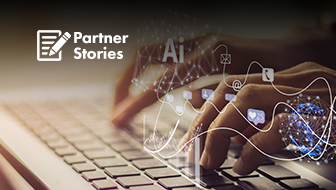 Huge’s is a digital agency with an office in Atlanta that has an in-house coffee shop – and the coffee shop is located between two Pokestops, according to AdAge. The Pokestops are places where players can gather unique in-game items. The agency dropped lures on the two stops to attract Pokemon near their store. They also provided charging stations at the coffeehouse and a “free steamed bun” for those who showed their Pokemon. During the week they paid for lures, the company saw a 400 percent ROI. 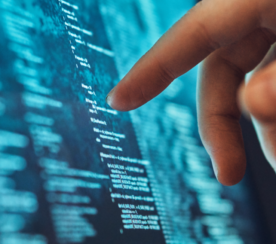 This restaurant – located in Niles, Illinois – gave customers a 20 percent discount when they ordered a PokePizza, according to the Chicago Tribune. Keep in mind the Pokemon craze is everywhere. In the town of Bay City, Michigan, a trolley business offered a Pokemon-catching tour and sold every ticket for $20 each, according to MLive. 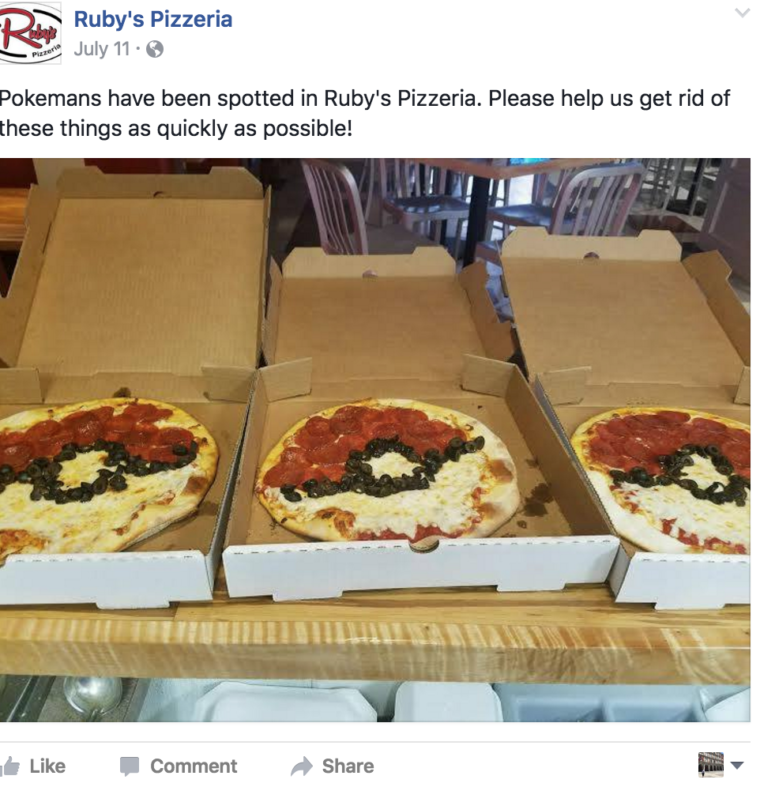 In addition to Sunrise Pedal Trolley, another Michigan business knows it’s near a Pokestop, so they made Pokemon-themed sweets and posted about it on Facebook. 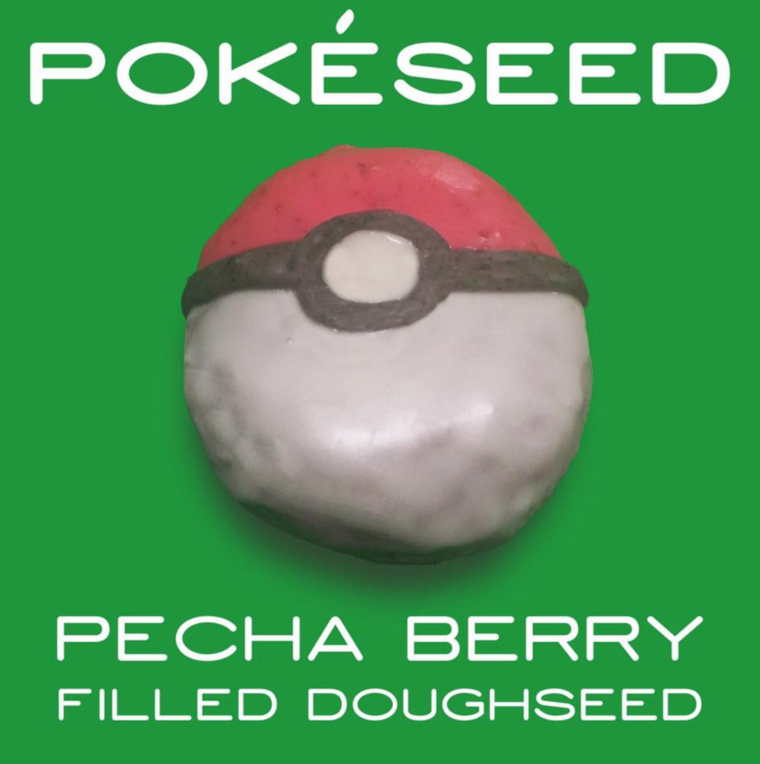 This doughnut shop sells pokeseeds (“pecha berry filled dough seed”). They posted the photo of the doughnut stating that their Chelsea and Queens locations are Pokestops, and their Lower East Side location is a gym. This Houston, Texas vapor business offered 20 percent off all juice for customers who came in to catch Pokemon. The co-founder of a bar crawl business planned a Pokemon-themed bar crawl. He bought 50 lures for just $35 so he could make sure Pokemon were at the different bars when they needed to be. On July 24, this toy store offered “lunchtime lures from noon to 1 pm.” Also, if a customer dropped a lure, the store gave you 15 percent off your purchase. 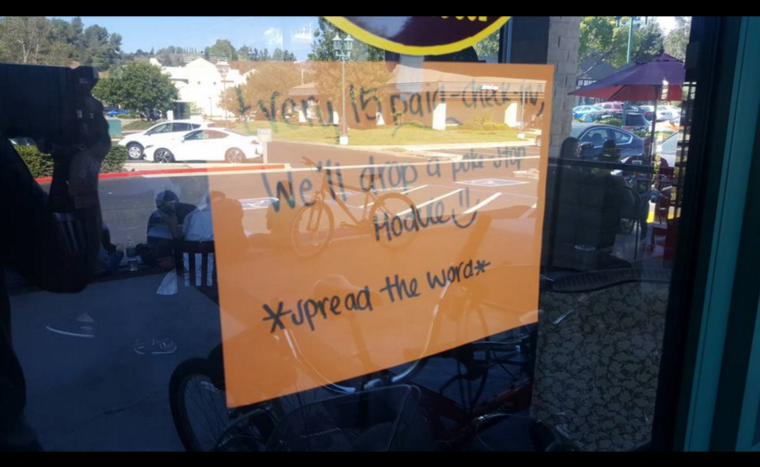 This bagel chain created an entire social strategy dedicated to Pokemon Go. Enough said. Here’s a tip: businesses who are near a Pokestop or Gym on Yelp should take advantage of the Yelp filter. Yelp is asking customers, after they check into a business, whether or not there’s a Pokestop nearby. You can find out if you are near a gym by using the Ingress map. So if you’re near a gym, take screenshots of Pokemon and post to your social media channels. 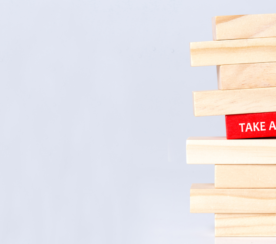 Offer discounts for those who may want a break before, during or after their battles. 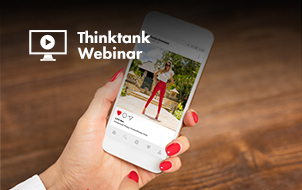 Local businesses have a historic opportunity to take advantage of a location-based augmented reality game in their local marketing. So buy those lures, post offers and special Pokemon events on social media. 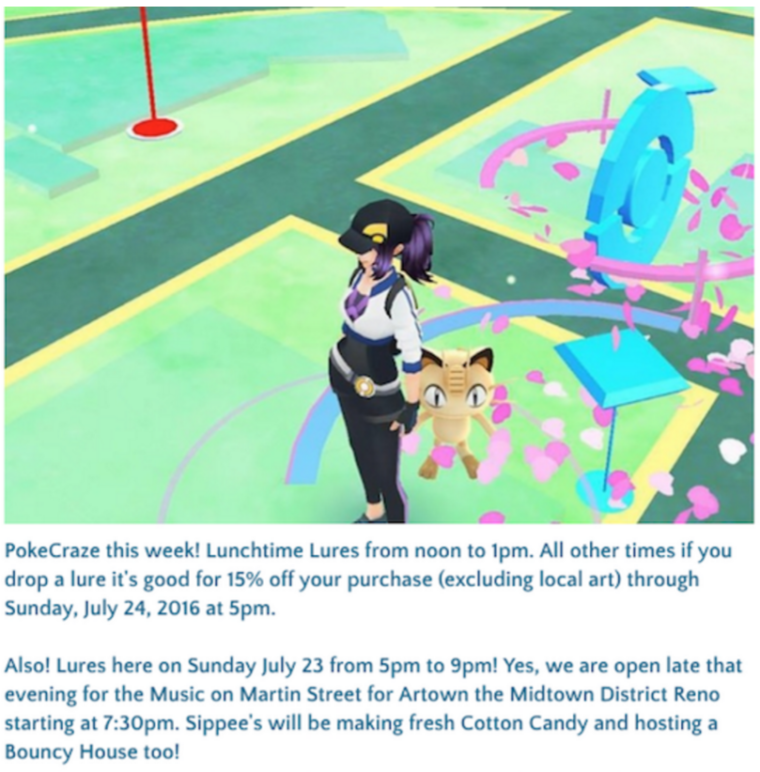 Be a local business that is participating in Pokemon Go. Screenshots by Chris Campbell. Taken August 2016.